I'm having a blast finding unique and creative holiday items and sharing them with all of you. 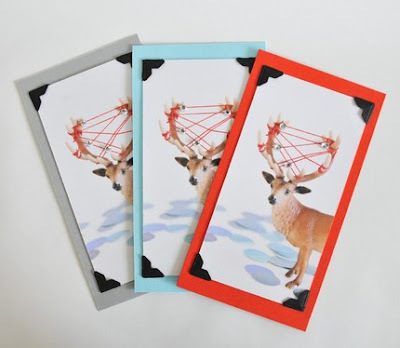 This "bedazzled deer" set of greeting cards is from the lovely little Etsy shop Wren & Chickadee. All of the handcrafted items in this virtual shop are created by a Mama and her daughter. Don't forget to check out her blog as well, Creature Comforts, a favorite destination of mine that never, ever fails to inspire.